Manuela is a fabulous guide! She combines superb knowledge with a kindness, warmth and humour that brings all the history to life. She showed us views, artefacts and angles that we would never have seen without her. Manuela’s English is impeccable and her passion for Rome and all that it holds is nothing but infectious! TOUR GUIDE RESPONSE: Thank you. It is very rewarding for me to receive such kind words. I really appreciate the time you took to get this review to me. Grazie. 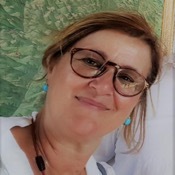 My daughter and I booked 3 tours with Manuela (you can read my comments under the Colosseum tour) - but suffice it to say that you will be in excellent hands with Manuela as your tour guide. She is kind, flexible, and has an excellent way of presenting years and years of history in an easy to grasp and fascinating way. Highly recommend. TOUR GUIDE RESPONSE: Grazie mille. it was a pleasure meeting you and showing the best of the vatican Museums. Hope we meet again if you will be back in Rome. This was the second of two tours we took with Manuela, and again she was knowledgeable and entertaining. Her introduction to Michaelangelo and the Sistine Chapel was brilliant, and my daughter and I loved her extra materials and anecdotes. We came away with a wealth of knowledge, having seen and learnt things we would never have got from just going by ourselves, and having been thoroughly entertained in the process. We would highly recommend. TOUR GUIDE RESPONSE: Thank you so much. Wonderful to know that Michelangelo has another fan in Emily. Manuela was our fantastic guide for 2 days. We visited the Vatican and the Colosseum and Ancient Rome. She is very knowledgable, is a pleasure to listen to, speaks very good English and has a good sense of humour. She managed to keep our two teenage boys entertained throughout the tours, which is an accomplishment by itself!!! We felt very lucky we choose her and we would definitely recommend her to anyone!! Next time in Rome we hope to see more with Manuela by our side!!! TOUR GUIDE RESPONSE: Thank you Xantha. Had a great time meeting you and showing you my wonderful Roma. Grazie. 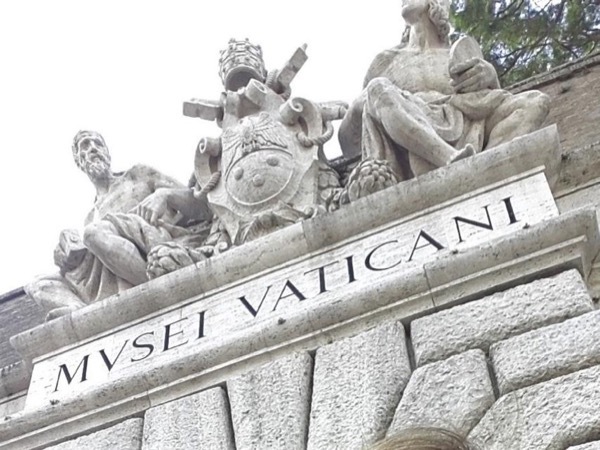 Manuela was an excellent choice for a guide to Rome & The Vatican. Extremely knowledgeable - but you can get that from many guides - the thing that made this tour so wonderful - she is full of personality - she reads her quest well - and will take the tour at their pace - no rushing - everything is on the guest schedule - and ability to walk and enjoy. I would HIGHLY recommend Manuela for a private tour - or a small group - You will not be disappointed. This is our second tour with Manuala and it was even better than the 5 star first tour. She provides easily understandable context for the rich history of the Vatican and all its art. My wife and 2 adult children all had great fun and learned much from our time with Manuela. TOUR GUIDE RESPONSE: Grazie to you and your family. Manuela did an excellent job on our tour of the Vatican. She was very knowledgeable, informative, punctual, and adaptive considering we had 2 small children. I was impressed that she used an Ipad to add further to the richness of the history of not only the Vatican but Rome itself. I would definitely recommend her especially if you have children in your group due to her gentle and friendly nature. Thank you Manuela! Manuela is a great guide. My family of 8--- all ages were very impressed with her comments about the Vatican. Manuela was fantastic, knowledgeable, patient and professional. She met us on time exactly where she said she would. She was knowledgeable regarding the logistics of the museum, the lines, the tickets and the "personalities" of the guards and staff. She was extremely knowledgeable regarding the art, architecture, history and politics -- she really made this a truly wonderful experience for our family, spanning ages from 2-years old through 65-years old. Highly recommended! We loved our tour with Manuela!! She was wonderful - so much knowledge and information. An unforgettable experience! Manuela was wonderful. It was an extremely crowded and hot day but she still made our tour a wonderful visit. Her knowledge was extensive and our entire family learned something from her. I highly recommend using her! TOUR GUIDE RESPONSE: Grazie. Thank you for choosing me as your guide and for this great review. We had the pleasure of having Manuela as our tour guide for two days in Rome, and she was absolutely amazing. Because Rome was our first stop in Italy, we basically compared all of our other guides to her because she was so good! Manuela's knowledge of history, art, and culture was quite impressive, and she is a pleasure to learn from. We only wished we could have packed her up and taken her with us on the rest of our vacation! Manuela is also great with restaurant recommendations. Manuela was great with our group of 13 people of varying ages. She answered all our questions, gave very interesting information and even kept our teenagers engaged. Manuela spoke very good english as well! Maneula was an excellent tourguide and host. She showed us so many interesting things with fascinating stories of the history behind what we were seeing. We never would have been able to appreciate all she showed us without her as our guide. In addition she was very attentive to structuring the tour around 2 bathroom breaks, which was really helpful! We would most highly recommend her and we would absolutely book with her again. TOUR GUIDE RESPONSE: Thank you for you kind words. I really enjoyed my time with you and your lively family. Kind regards. Manuela S.
highly recommend this tour guide and will look her up next time we are in Rome - she went above and beyond securing tickets when the time we were going to be able to tour were sold out. My sons enjoyed discussing with her the different museums within the vatican museum system. TOUR GUIDE RESPONSE: Thank you for your review. I look forward to meeting you again.